Food Blogger Media Kit Template - Feast Design Co. Besides a killer theme, what is the #1 thing bloggers, especially food bloggers, need to work with brands? I’ve created several for some of my favorite clients over the years and I’ll be the first to admit that it can get pretty pricey to have a designer work one up for you. And often when you decide to DIY it, it looks like it. Amiright? Be honest. When Jeni Elliot, from theblogmaven.com, mentioned her idea to pair up her mad media kit strategy skills with my design, I jumped right on it. I knew this was something the Foodie community needed and so I got to work creating a template with you in mind. You can easily customize the look in Photoshop, similar to how you customized your Foodie Pro theme in the built-in customizer. Watch the video tutorials to discover how to change your colors, fonts, images, and logo to match your brand! Bonus! 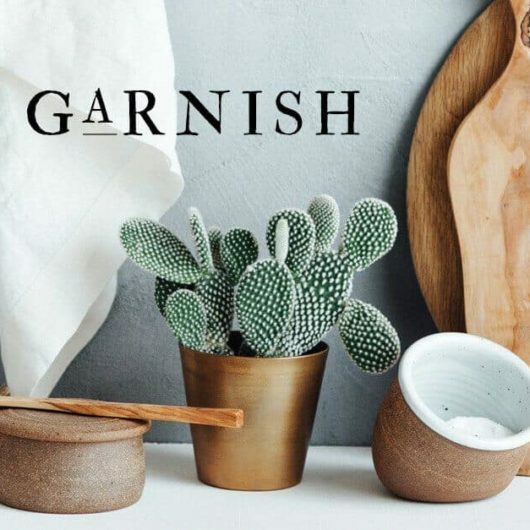 Garnish participants can get The Brand Magnet for FREE! Details here. This offer has expired. We’ve taken care of everything you need. 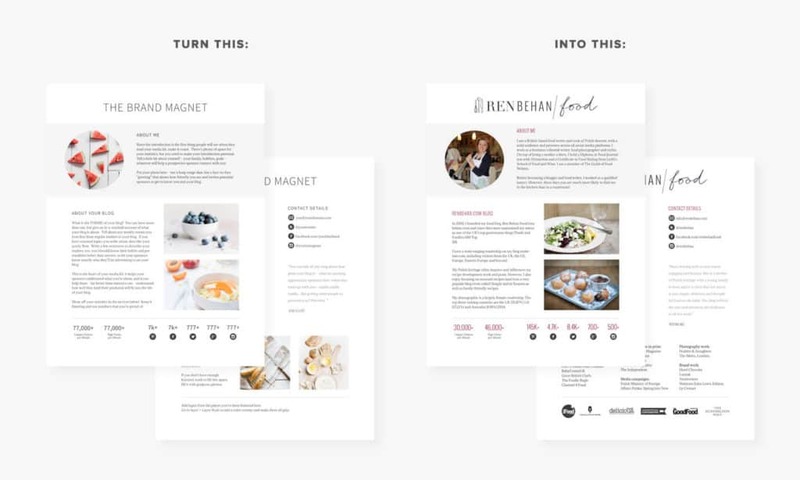 When you purchase The Brand Magnet, you not only get a layered and documented professional media kit PSD template, but Jeni has thrown in some incredible extras! And, hello, it already matches your Foodie Pro site! But what good is a media kit if it’s not found? Once you have a media kit set up for food brands, it’s time to start making them aware that you have one. This usually involves setting up a “work with me” page on your website, asking them to send you an email. 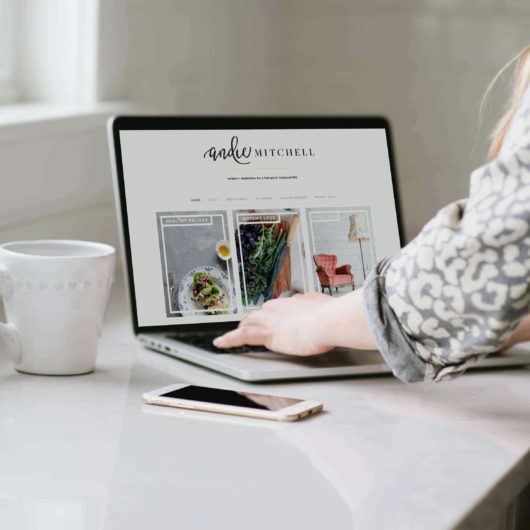 The problem is that there are thousands of food brands out there who’d love to collaborate with you, but don’t have the time to go searching through the tens of thousands of food bloggers to find one. 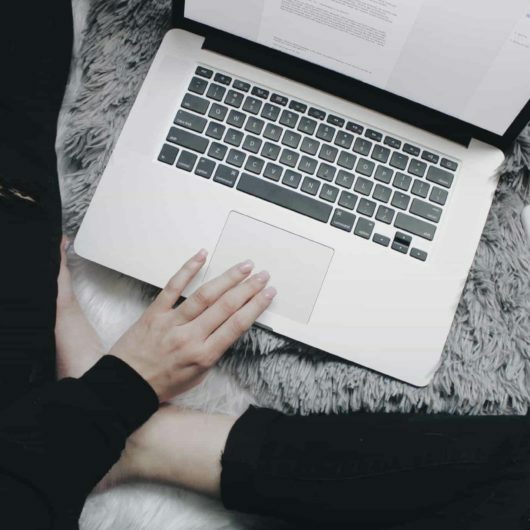 Even if they’re able to, filtering through thousands of media kits from different bloggers and trying to figure out who is under-charging and who is over-charging is another task for the marketing department. 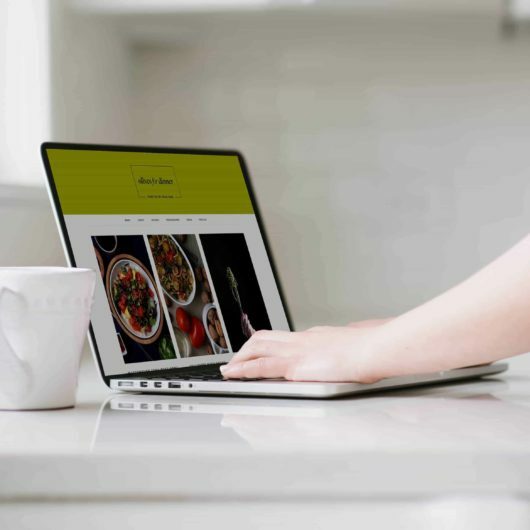 The simple solution is to submit your information to a company that specialized in referring food brands to food bloggers. Reach out to us today to get started. 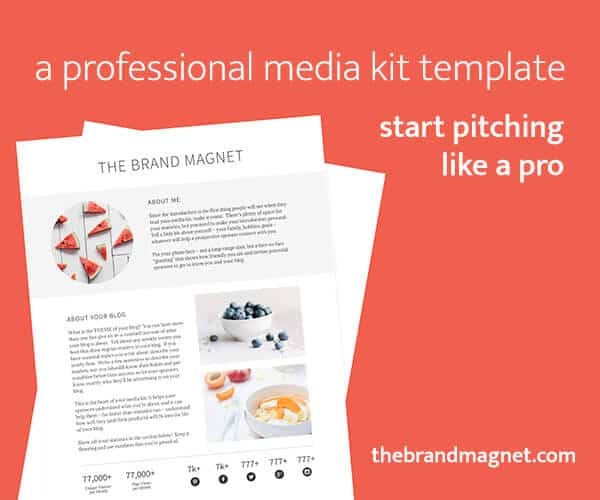 You can also use Canva’s media kit templates for a DIY solution!